The tropical state of orissa lies along the eastern seaboard of India , south of Bengal. 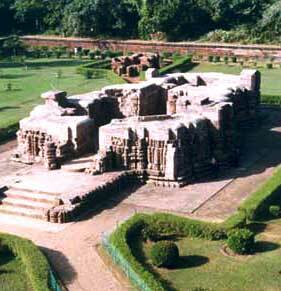 Its main attractions are the temples of Bhubaneshwaer, the long sandy beach at puri and the great sun temple at Konark.These three sites make a convenient and compact triangle , and Bhubaneshwar is on the main calcutta to Madras railway route. 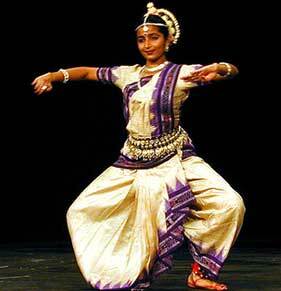 Orissa is predominantly rural , with fertile green coastal plains rising to the hills of the eastern ghats . the majority of the population ilive on or below the poverty line withan annual income of the lowest in the country .Largely based on agriculture , Orissa's economy is often destablished by natural disasters , including flooding drought , cyclone or tornado .However , flooding in the Mahanadi delta , which used to occur regularly , has been much reduced by the building of the Hirakud Dam . The state is mineral rich and is abig exporter of iron ore., with a large factory at Rourkela. 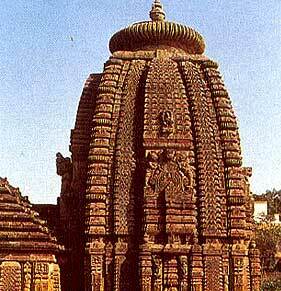 few visitora venture outside the Bhubaneshwar- Puri -Konark triangle and although travel off the beaten track in orissa is often rough , with few tourist facilities , it can be an interesting and rerwarding experience . The Oriyas , 25% of whom are indegenous tribal peoples , are particularly friendly and hospitable. Ancient Orissa had a number of important ports such as Paloura, Tamralipti and Dharmra along Orissa's 482 km long open coastline. It is little wonder then that a flourishing maritime trade existed between Paloura (now Puri) and the Indonesian islands. As a result, the influence of the Pali language and Buddhism spread, in due course, to Southeast Asia. The old Buddhist connection with these regions is visible in the 'Peace Pagoda' built by the Japanese Buddhists in this century and the Dhavateswar temple on the Dhauli hilltop near Bhubaneswar. 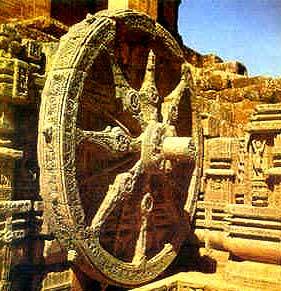 Later, Jainism gave way to Hinduism in around 7th century AD. This was the time when the ruling dynasties were the Ganga and Kesari, who constructed some of the most magnificent temples in India. After the decline of these dynasties, the local kingdoms fought hard to keep the Muslims away, but by the end in 16th century, the Mughals defeated them and gained control over this region. After the decline of the Mughals, Orissa was ruled by the Marathas and the British. 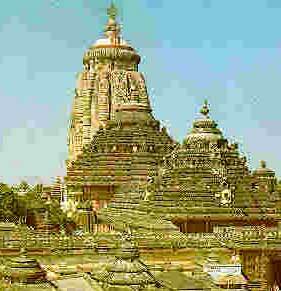 Orissa became a separate province under the British Government in 1936. Orissa, situated in the north-eastern part of the Indian peninsula, is bound by the Bay of Bengal on the east, West Bengal in the north east, Bihar on the north, Madhya Pradesh on the west and Andhra Pradesh on the south. The state extends between the latitudes 17�49' North and 22�34" North and longitudes 81�29' East and 87�29' East. 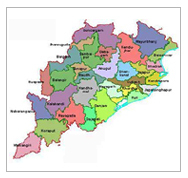 Orissa can be divided into two major parts, one being the coastal plains and other the northwestern plateau. The coastal region varies in width except in the Ganjam district where the eastern hills attain their highest altitude at 1,500 metres. 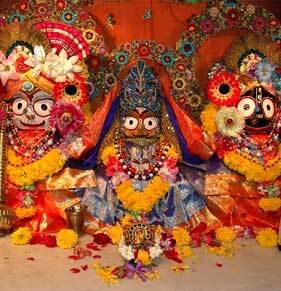 Mahanadi and its tributaries cross through this region and create a large delta, which is very fertile. The rivers bring enormous water and sometime cause dangerous floods. The climate of the state is primarily tropical with the coastal climate being distinct from the rest of the state. During the monsoon, the region comes under tropical depression and is hit by heavy rain and tropical cyclones that create heavy damage to property and crops. With the presence of vast, thick and dense forests, which cover almost 55,000 sq km area of Orissa, there are quite a few areas that have either been reserved, demarcated protected, undemarcated protected, or just unclassified. The important among these are the Simlipal National Park, Bhitar Kanika Wildlife Sanctuary, Nandan Kanan Zoological Park and the Chilka Lake. These forests shelter a great variety of avifauna, animals, and plant species. 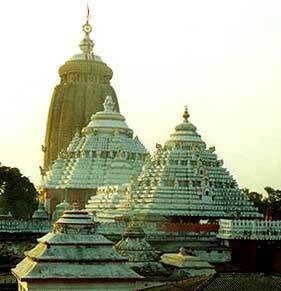 The most convenient access into Orissa is a flight to Bhubaneshwar. Indian Airlines has flights from Hyderabad, Nagpur, Calcutta, Delhi, Raipur, Varanasi, Mumbai and Chennai. Train connections from all parts of the country exist, but are usually long and the non - availability of air-conditioned class travel is a constraint. 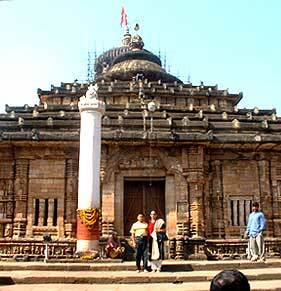 Once in Bhubaneshwar, road travel is the best option, to visit the other attractions in Orissa.